President Obama argued in his State of the Union address that “no one who works full-time should have to live in poverty.” That is a noble goal, but it has little to do with the minimum wage rate. Only 2.9 percent of U.S. employees work for the federal minimum wage of $7.25 per hour. Very few of those fit the stereotype the President painted. Less than a quarter of minimum wage workers live at or below the poverty line, while two-thirds come from families above 150 percent of the poverty line. In fact, the average family income of a minimum wage worker exceeds $53,000 a year. How do workers making $7.25 per hour live in families making over $50,000 a year? Because most of them are not the primary income earner in their families—many are students. Over half of minimum wage workers are under 25, and better than three-fifths of those report being enrolled in school. Two-thirds of minimum wage employees work part time. In fact, minimum wage workers are less likely to be single parents working full time than most U.S. workers. Across the entire economy, 5.6 percent of employees are parents with full-time jobs. Only 4.6 percent of minimum wage workers fit that description. The larger problem facing poor families is a lack of employment opportunities. Only 9 percent of individuals in poor families work full time, while 25 percent work part time. Fully 67 percent do not work at all. Raising the minimum wage would make this problem worse. Employers would respond to the higher costs by creating fewer entry-level jobs, making it harder for disadvantaged workers to gain the skills necessary to move into higher paying positions. 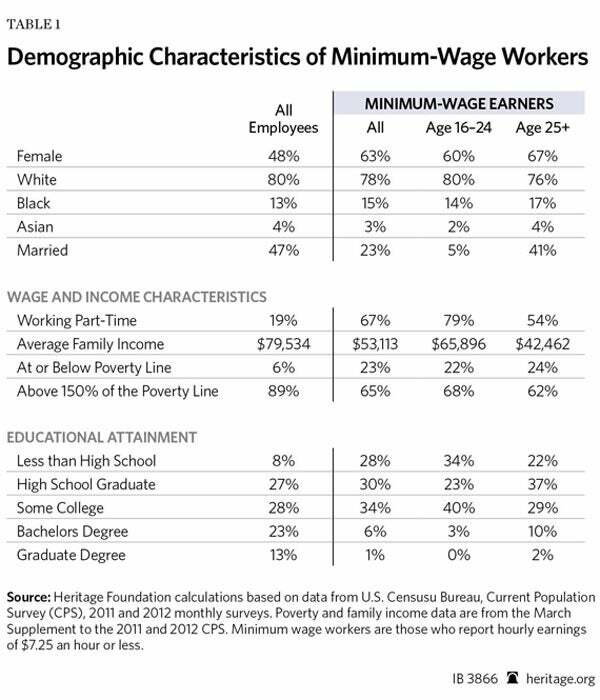 A higher minimum wage would help some workers, but few of them are poor. The larger effect is hurting the ability of potential workers living in poverty to get their foot in the door of employment. A minimum wage hike might help politicians win plaudits from the press, but it wouldn’t reduce poverty rates. Rudy Takala is currently a member of the Young Leaders Program at The Heritage Foundation. For more information on interning at Heritage, please click here. 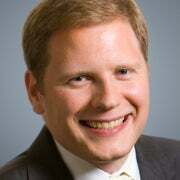 As a research fellow in labor economics at The Heritage Foundation, James Sherk researches ways to promote competition and mobility in the workforce rather than erect barriers that prevent workers from getting ahead. Read his research.